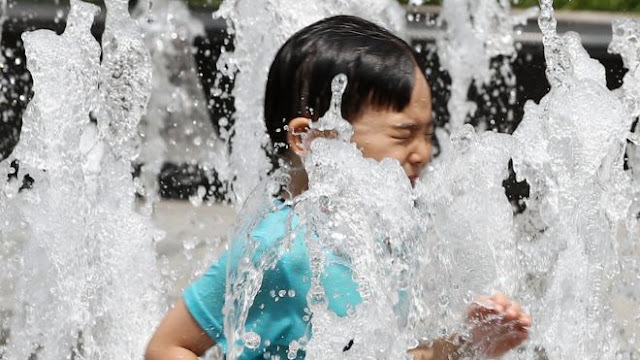 South Korea recorded the highest temperatures, the 43 degree Celsius-the hottest weather since the country began recording temperatures in 1907. The capital of South Korea, Seoul, also experienced the highest temperature with the number 39 degrees. It has been more than 28 people died due to a very hot wave, according to government officials. 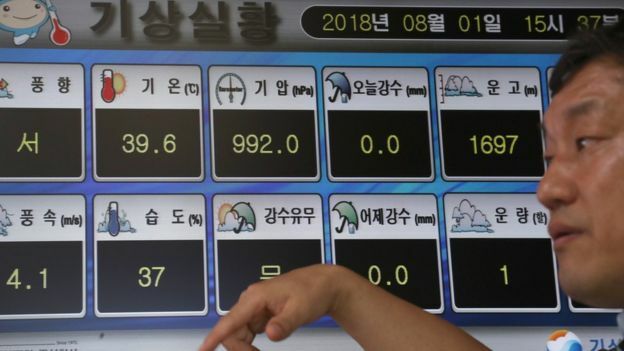 This is the second time the temperature rises above 40 Celsius, after the city of Daegu in the southeastern part of experienced it on August 1, 1942. The country is experiencing a heat wave long after the rainy season with low rainfall and occurrence of atmospheric pressure of Tibet high so that the State is getting hot. Another factor is the wind coming from the East, from the Taebaek range in South Korea to the East. Warm air which raise the temperature in Seoul was known by the name of dry foehn. Most likely the temperature will continue to rise in the country, including in Seoul in a day. In Asia, the heat wave also befell Japan. On Monday (23/07), the heat wave occurred in the country. The hottest temperature recorded in Kumagaya, about 86 kilometers from Tokyo, which reached 41.1 Celsius. The record-breaking temperatures five years earlier, namely 41.0 degrees Celsius in August 2013 in Shimanto, Kōchi Prefecture. Due to this heat wave, as many as 77 people have died and 30,000 people had to be hospitalized, according to the Japan disaster relief Agency and Kyodo News Agency since July 9 to Sunday (22/07).